Do you feel that there is something missing in your life and you just don’t know what it is or where to find it? Do you have a sense there is more to life for you to explore and can feel that the answers are somewhere inside of you but you just can’t get to them? Are you at the point in your life where you know there is more to your personal fulfillment than a successful business or family responsibilities…something that will fill that void within? Most of us are so busy with our everyday lives that we don’t find the time to really pay attention to our inner voice. We are so busy doing and having that we have forgotten how to… just Be. JUST BEING is what happens when you visit a sacred site. A sacred site is an earthly location where energy radiates at a higher frequency. There is a power found in sacred places not found anywhere else. Ancient civilizations had a profound relationship with Mother Earth. They were extremely sensitive to these power points of energy, called ley lines. Ley lines are the spiritual life force energy inside the Earth Mother. The ancient sacred sites are often built on these ley lines and in the reflection/formation of star systems. There is an exchange of energy between the visitor and each sacred site they visit. Connect to your spirit and clearly hear your inner voice, your wisdom awakening. Activate your internal healing, giving your inner voice permission to Be as you rejuvenate your mind, body and soul. Learn to resonate with the spiritual energies of the site not only with your mind, but with all the centers of your body. Acknowledge, validate, and experience your unexpressed potential. On returning home from a sacred site journey, you will feel different. You will no longer feel fragmented. The energy you receive will allow for an easy integration of your mind, body and spirit into a unified whole. You will be in tune with your inner voice. You will experience the vibrant peace and joy at the very center of your Being. Visiting a sacred site can truly change your life. 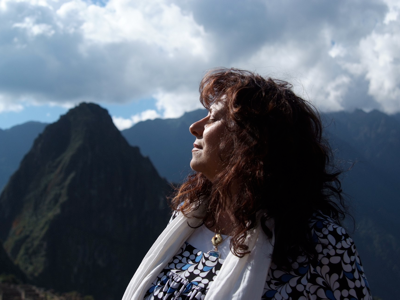 My own experiences in the sacred places of the Andes Mountains of Peru, Brazil, and Hawaii have forever altered my life and the lives of all those with whom I have traveled. And they, in turn, have altered their communities and the world.